San Diego Horticultural Society - November Meeting - The Edible Front Yard - Special Meeting! November Meeting - The Edible Front Yard - Special Meeting! Sponsors get one free admittance to the Special Event. Register to add your name to the list of attendees. Online registration is closed. Purchase tickets Monday night at the door. 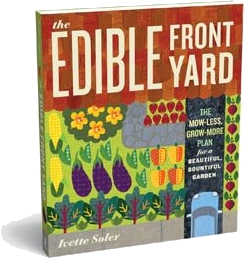 Ivette Soler, author of The Edible Front Yard: The Mow-Less, Grow-More Plan for a Beautiful, Bountiful Garden and a Los Angeles garden designer and writer, will talk about rethinking how we use the traditional front garden space, and how it can be transformed from lawn to edible paradise! Vegetable gardens, not typically known for their overall esthetics, are usually hidden from public view in the back yard. That is until now. Ivette’s lively and engaging presentation will focus on the front yard as a viable and desirable site for edible gardens, replacing the traditional manicured lawn. She will talk about how to create a front yard landscape that is both functional and elegant by basing plant selection on specific criteria of beauty, style, regional appropriateness, and alignment with the architectural style of the home. Her strategies make the most of existing hardscape and the integration of non-edible trees and plants into the overall plan. Ivette Soler is a garden designer and writer living in Los Angeles, California. Her plant design work for Elysian Landscapes, and her own personal garden, have appeared in magazines such as Metropolitan Home, Sunset, and House & Garden, as well as in several books. Ivette's garden writing has been featured in Garden Design, Cottage Living, and Budget Living, and she was the resident gardening expert on NBC's The Bonnie Hunt Show. 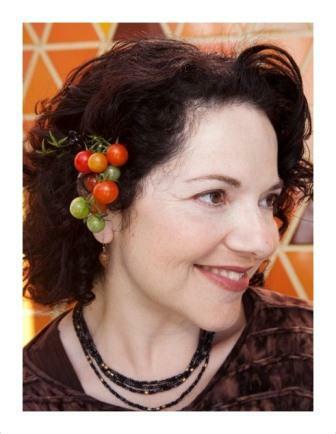 Her popular gardening blog, The Germinatrix, originated in 2006 as a part of Domino magazine. Save the date of this very special meeting! No guest passes or refunds on ticket purchases.